It was a tremendous time of fellowship with the Spirit as LMAM artistes from the Southern Africa Region, Viwe Nikita, Farlon Lyte and others have led the global congregation in glorious worship. Prayers of thanksgiving were offered with grateful hearts for a springtime of testimonies and significant attainments in executing 'Vision 400'. BLW President Announces October 2017 to be 'the Month of Blessings'! Revelations 12:11 says, “...they overcame him by the blood of the Lamb, and by the word of their testimony.” This was manifest in the lives of those who were healed in previous Healing School sessions. One after the other, they took the stage to share their tales of the miraculous. From the human perspective, their circumstances had been written off, but with God, all things are possible. They were full of praise and joy as they inspired faith and hope in the hearts of many with their riveting testimonies. "You're an heir of blessings," Pastor says, ushering multitudes into God's plan for October 2017. 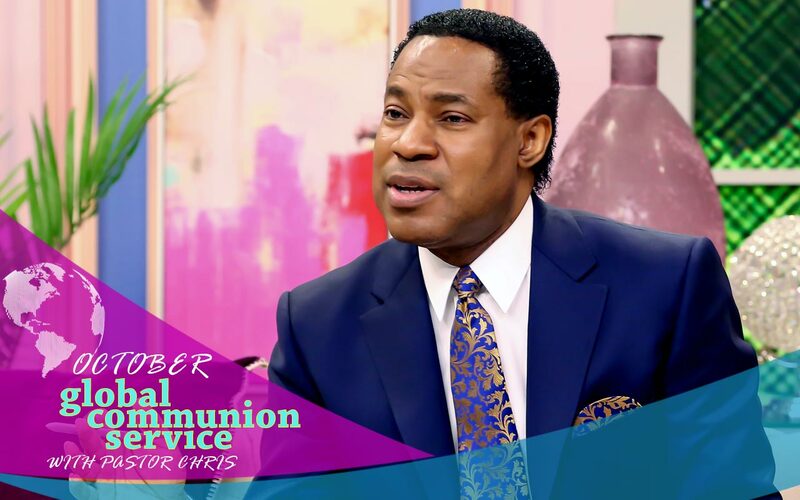 With many inspiring scriptures, the man of God, Reverend (Dr.) Chris Oyakhilome, lifted the global congregation at the just-concluded Global Communion Service into a new season of flourishing. The much-anticipated prophetic utterance that would open the month, and indeed, usher the brethren into the final quarter of the year came with great power. Pastor Chris began by assuring participants around the world that springtime continues, before announcing a new dispensation of blessings throughout the BLW Nation. "You are changing things like never before; it’s a time of growth," he said, dubbing October 2017 'the Month of Blessings'! The man of God further defined 'blessing', in order to help the saints' vision as "that which confers, invokes, authorizes or shares prosperity, power, ability and welfare (contented state of being happy, healthy and successful)."